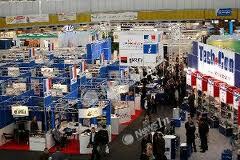 REECO 2013 will be the 1st International PV Platform in Romania, 6-8/03/2013 at Expo Arad International! This PV Platform Romania expects the most important business players to a high quality exhibition on more than 2000m2 in the third-largest convention centre of Romania. The city of Arad is an ideal trade fair location due to its position in Romania and South-East Europe: 5 capitals are in-between 500km: Belgrade, Budapest, Vienna, Bratislava, Sarajevo and the infrastructure is highly built out with highways. PV platform Romania creates the bridge and binding point between the national market players and international investors through its complex event structure and networking possibilities. - 2000 visitors to a unique and central event in the border triangle between Romania, Hungary and Serbia. In the framework of the 2 days international PV Conference – Changes & Risks the participants can get informed from 1st class speakers about the latest trends on European level, the news in Romanian legislation; can get practical information about the development of multinational companies, and can receive a compact market view on the Romanian PV market.